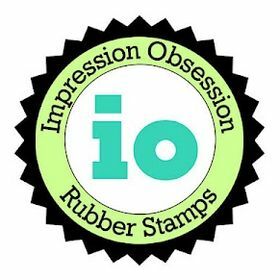 It's almost time again for Whimsy Stamps newest Rubber stamp release! 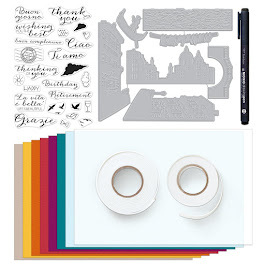 Over the next 3 days we will be holding a daily blog hop showing you creations made with these new goodies. The Grand Blog Hop will take place on Wednesday, which is the official release day and all the new goodies will be available for purchase in the Whimsy Shop then. As always, be sure to hop along and leave comments at each stop for a chance to win the prize. I have included the hop list at the end of the post. 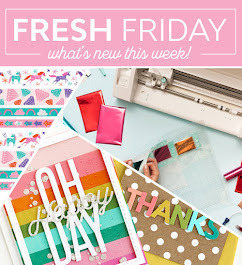 Today we are showing you creations made with designs by Crissy Armstrong, Mi Ran and SC Designs and I am so excited to be part of today's hop. Edited this post Oct. 8th, as I have redone this card to create step by step photos. Below is the new card and I do like it better than the first card. Step-by-step photos can be found on the Whimsy Blog (Oct. 9th). 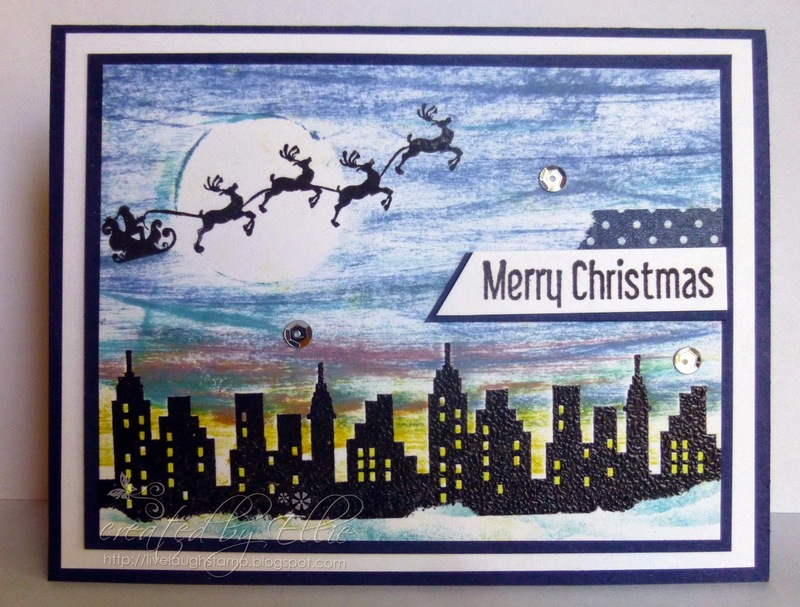 I used the stamp set Christmas Scene Builder by SC Designs. I started out by simply using the direct to paper technique using distress inks. Then I heat embossed the first row of skycrapers, masking off some "snow" on the bottom. I stamped the houses again with light gray ink to create more skycrapers in the background. Not sure I like the yellow, I wanted it to look like the buildings are all lit and are making the city glow...maybe I should have used a more subtle yellow. The snow on the bottom was done by using a mask and more distress ink. The moon was also masked off, before I started inking the background. I added a few sequins and then the sentiment with a little bit of washi tape. And here is the hopping list. 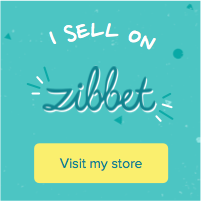 Don't forget to comment on each blog for a chance to win! You have until Tuesday noon EST to comment. Happy hopping and good luck!! 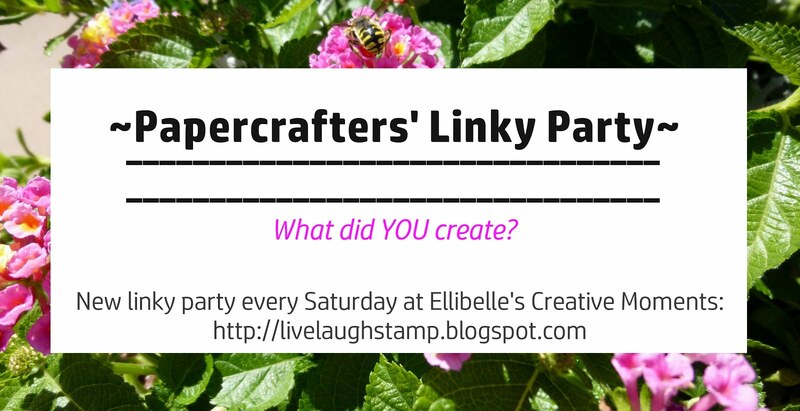 Be sure to visit the Whimsy blog tomorrow for the second blog hop. I will be back again on Wednesday for our Grand Blog Hop. This is fabulous Ellie, very much up my street, I'm a great fan of silhouette stamps and these ones look very much need items. Great card! Love the scene! Your card is great. I like the way you shadowed the buildings in back... great dimension. Ellie, i love the scene you built and all the layers to the inks, wow great job! This is fabulous, such a stylish design and wonderful colours. Such a sweet card Ellie. Love the city bellow the sled. The sky looks awesome. Awesome Christmas scene! Love it!! Beautiful card! Love the sky and the silhouetted images! So pretty! Very creative scene, lovely layout, and beautiful card! Love the Christmas scene. Makes me want to sit down and get busy! Fabulous card. Love your scene. I don't think the yellow is too much. They have been doing a lot of pre-summer burning off here so the smoke tends to give a very warm glow to the lights and sunset. Love the card it is amazing. So pretty! Love the scene builder idea. great card the city glows! You get the feeling of Christmas Eve and Santa arriving. Wonderful card and neat background!